International Atomic Energy Agency (IAEA) Board of Governors Seasonal Meeting started work in Vienna June 12. 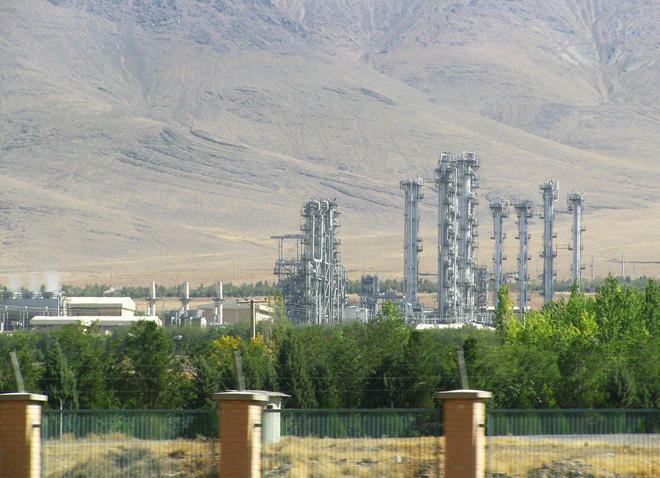 One of the considerations of the board was renaming Iran’s Arak heavy water reactor (technically called IR-40) to Khondab Heavy Water Research Reactor, IRNA news agency reported on June 12. The reactor used to be a sensitive point in Iran’s nuclear talks, where the United States tried to rename it, but faced strong resistance from the Iranian side. Under a deal which resulted from the nuclear talks, the reactor is going to be redesigned as one of Iran’s commitments to the deal to make sure Iran’s nuclear program is curbed. Spokesman of the Atomic Energy Organization of Iran Behrooz Kamalvandi said the renaming of the reactor was an attempt to safeguard its heavy water class. Under the Joint Comprehensive Plan of Action, Iran agreed to redesign the IR-40 reactor, to minimize its plutonium production and avoid production of weapons-grade plutonium. Iran also agreed to remove the reactor core and fill it with concrete to render it unusable, and to export all spent fuel within one year of its removal from the reactor. On 14 January 2016, Iran stated that the core of the reactor had been removed and that it would be filled up with concrete.